I’ve been blessed with the opportunity to travel to lots of amazing places at such a young age. This is something I will never ever take for granted. No matter how far and wide I may have traveled, I have to say that the greatest place I have ever been is New York City. My friend Shelby described it best in a tweet of her’s, “there’s something about pulling into Manhattan that gives an overwhelming sense of opportunity, every time”. I experience the similar sensation every single time I get off the train at Penn Station. I walk up the stairs from the station into the city and am greeted by the hustle and bustle of the people, the bright yellow taxis, the beeping of horns and most importantly NYC’s powerful/magical energy. Being in New York makes makes me feel like the world is mine to conquer, that anything can happen, that love and magic exist, that I can be whoever I want to be, that dreams come true…. I never feel more alive than when I’m in this city. 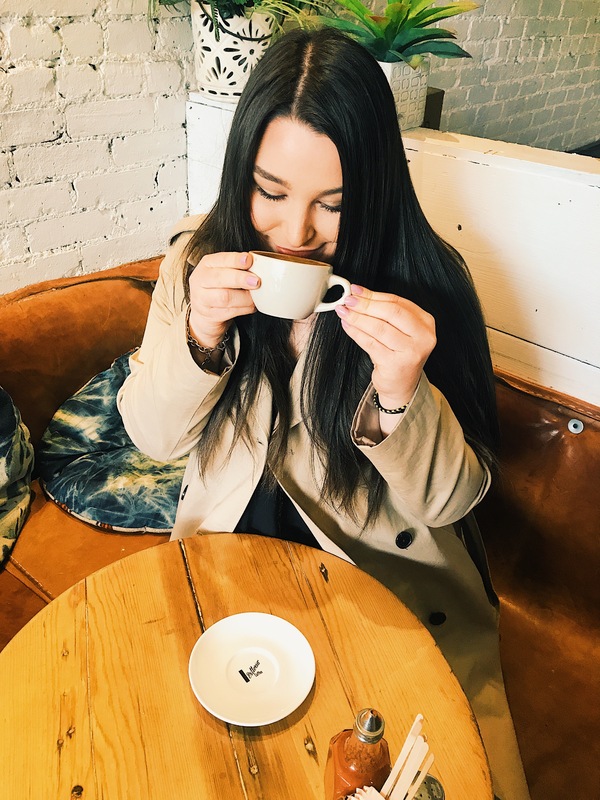 In my previous post I wrote solely about my time in the tattoo shop, but today I am giving you guys a look at my day spent in the West Village! Brunch is everything, especially in NYC! 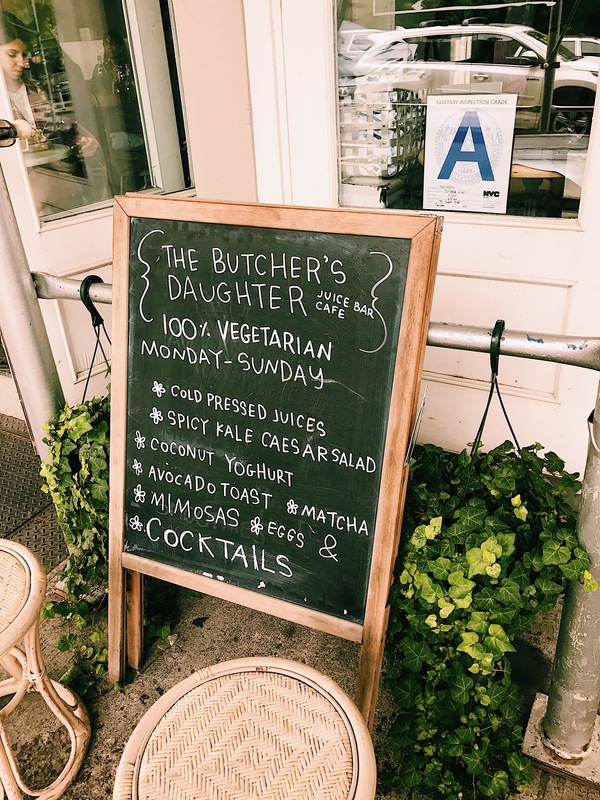 My family and I celebrated that fact by heading over to The Butcher’s Daughter in their West Village location for an amazing mid-morning feast. This restaurant is any photographer’s dream. 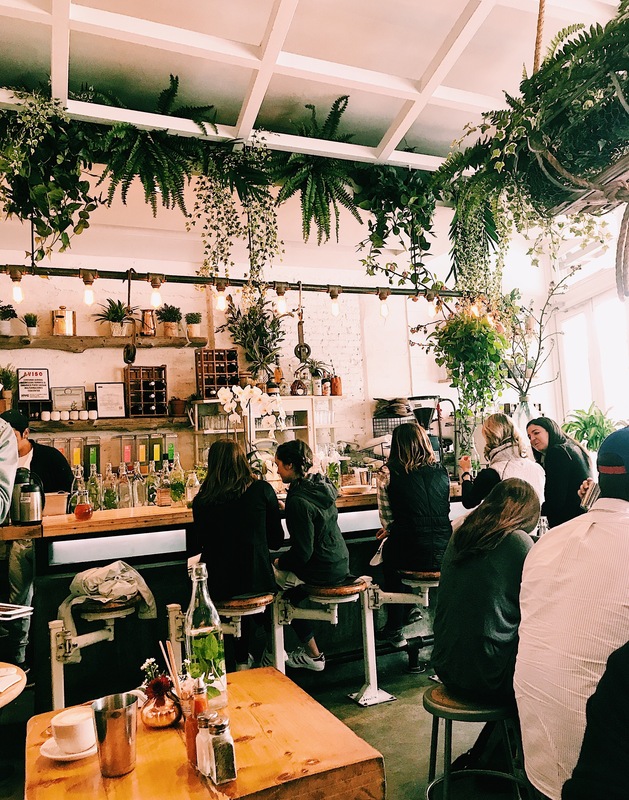 The food not only looks incredible and tastes incredible but the interior design is artsy and filled with plants! They serve a 100% vegetarian and mostly vegan fare and it is seriously to die for! My dad is the biggest meat eater out there and he was even raving about how delicious his vegan rueben sandwich was! 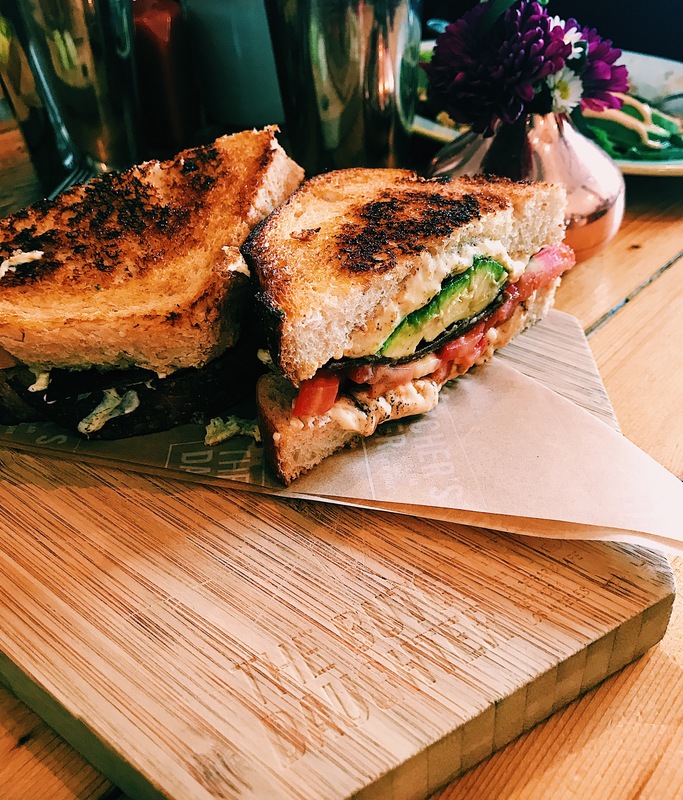 I had ” Butcher’s Grilled Cheese” which featured sourdough bread, vegan cheese, avocado, heirloom tomato, adzuki bacon, and wilted basil and it is the best sandwich I have ever eaten in my life. I can’t recommend this place enough! The energy of this place is chill and inviting and you will want to spend the entire day here just talking, sipping on mimosas and enjoying life! After we finished up brunch we walked a bit around the village. 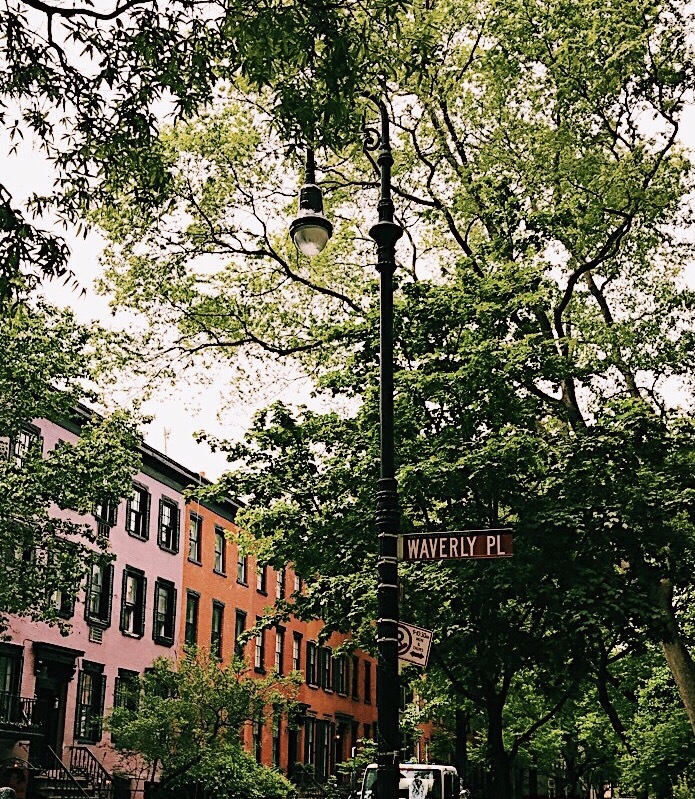 I was in full daydream mode looking at all of the colorful brownstones and imagining myself living in one of them…I’ll get there one day; I’ll make sure of it! 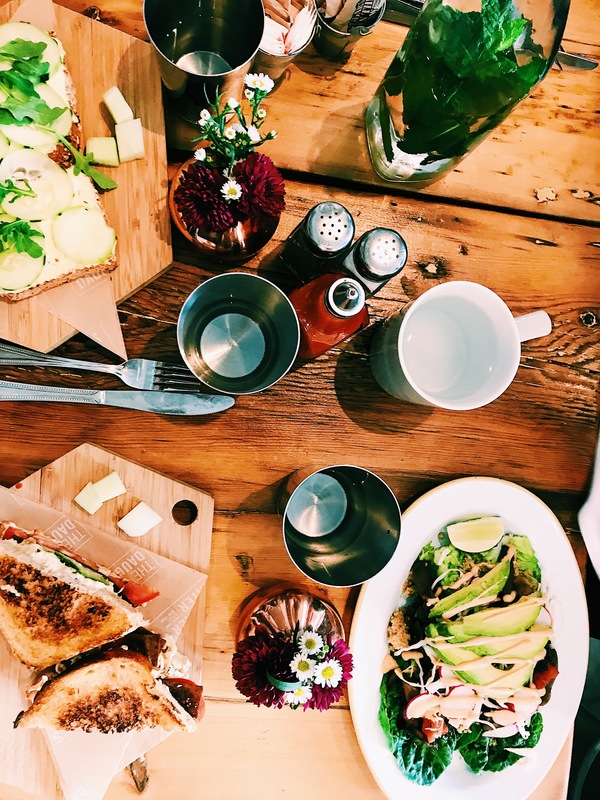 What are your favorite NYC brunch spots? 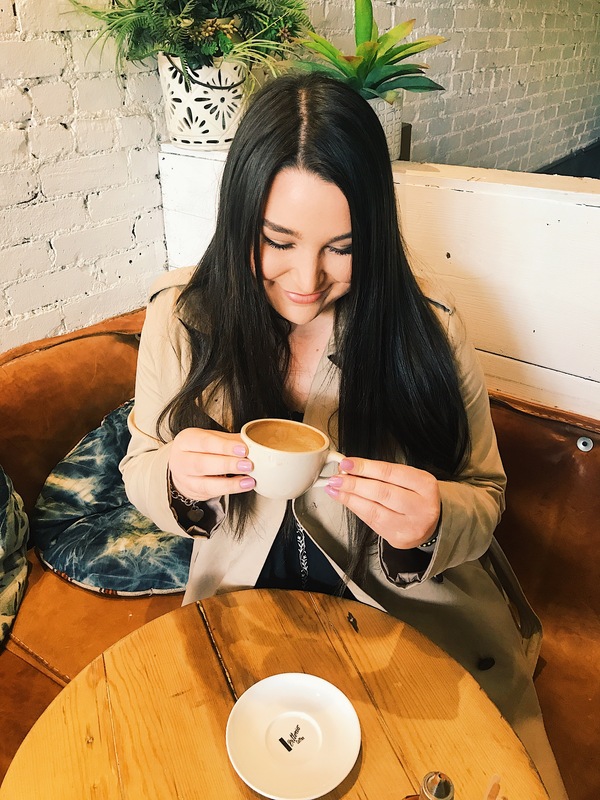 I’m always looking for new spots to try…right now by CHLOE and Sweets by CHLOE are high on my list! Please leave recommendations below in the comments if you have any!